Construction contractors can experience a variety of problems with cash flow, especially during the spring and early summer months. We are going to share a brief overview of the most common problems commercial contractors face in their business. Sounds crazy, right? Isn’t growth a good thing? Of course it is. But keep in mind that when we experience growth in construction, our costs start climbing in addition to our revenues. Most contractors in a growth mode will burn about 30% of their growth in cash. The more substantial your growth, the more your cash flow will be affected. So although it’s hard to complain about growth in general, it’s important to recognize that it can still lead to cash flow problems. If you really want to mess with your cash flow, pay your vendors before you get paid. This happens more often than you think, and maybe it’s even happened to you before. Your heart may be in the right place by just trying to help someone out, but it’ll only hurt your business in the long run. Keep timing in mind, and make sure you have the available cash funds before paying your vendors. We used to joke that we were the best 98% contractor there was. But it was just that last 2% of the job that would take forever to finish! If you can relate to this scenario, then you might have experienced cash flow problems as a result. Retention rates may vary depending on where you live in the U.S., but for us, we typically see around 5-10% retention. That could mean that your entire profit is sitting in someone else’s bank. In terms of cash flow, you can’t collect that money until the job is done. What are the retention terms in your contract, and could they result in potential cash flow problems? 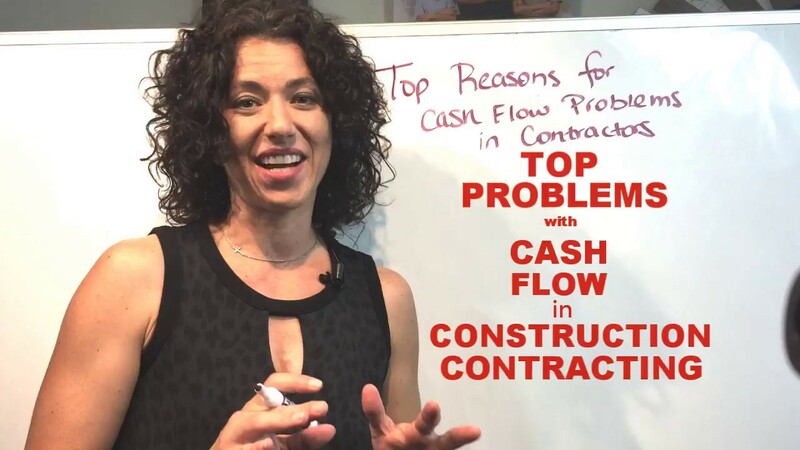 Now we’ve identified the cash flow problems that construction contractors face. In our next blog, we’ll further analyze these to see which ones are actually present in your business and how to come up with a solution. Click here to read the next blog.